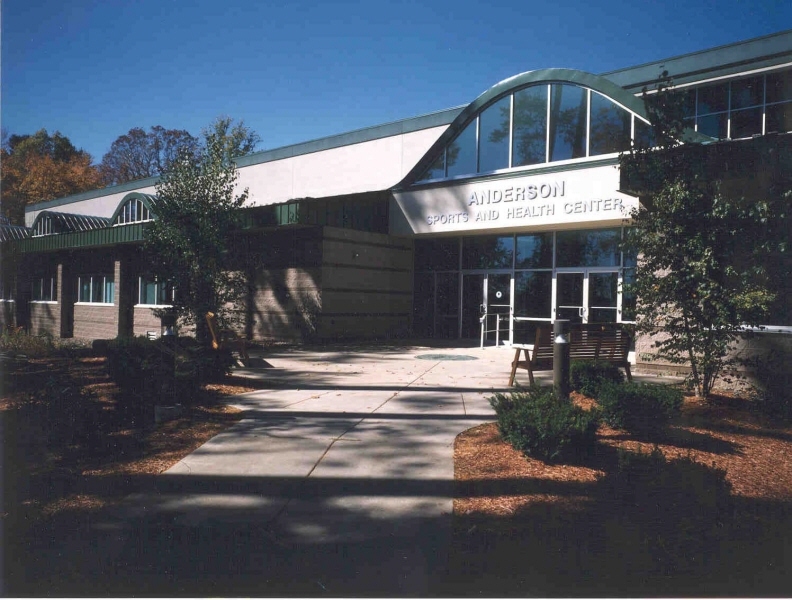 The Anderson Sports & Health Center at College Misericordia is a multipurpose facility that accommodates the school's intercollegiate athletics and education programs. The facility features a myriad of athletic and recreational areas including a six-lane NCAA swimming pool, indoor track, three racquetball courts, weight and fitness rooms and an aerobic/dance studio. The building also houses the athletic department offices, sports injury rehabilitation center, campus health center and classroom and laboratory space for the college's nursing, physical therapy and occupational therapy programs. Four eyebrow dormers provide ample natural light to penetrate the classrooms.